You know where you want your business to go, but you might need some support to get there. Building a business is incredibly demanding, and no matter how good you are at multitasking, it’s still impossible to attend to everything at once. Luckily, you don’t have to! 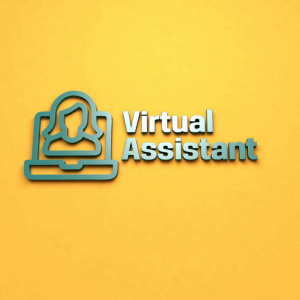 A virtual assistant is the highly-trained professional that you need to lighten your load and take some of those tasks of your plate. Let’s take a look at a few ways that a virtual assistant will help you grow your business while reducing your stress level. Pursuing your vision for your business can take over your life if you’re not careful. It’s hard to enjoy a relaxing weekend or a fun vacation if your mind is always on work. Assigning tasks to VAs cuts down on stress and prevents burnout. Delegating repetitive tasks can free up 1/5 of your productive time each day. That’s a full day of productive time each week! VAs work on an hourly basis. This means that you are only paying for time that is actively dedicated to the job. VAs are far less expensive than full or part-time employees. No paying for down time like sick leave or vacation. No need to provide office space or equipment. VAs aren’t just for the boring tasks you don’t want to do (though they’ll gladly take those on!) 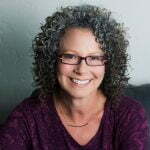 VAs are highly-trained professionals that specialize in a multitude of areas. VAs can assist with technology, software, marketing, customer service or social media. VAs can work from anywhere in the world, so you can choose from a global pool of skilled professionals. The success of your business depends on keeping your customers happy, but it’s hard to give them all the attention they need while trying to meet your goals for your company. VAs can field calls, answer questions and book appointments efficiently. You can increase your customer’s access to your business by hiring VAs to cover after hours calls and questions. VA’s can manage your social media and assist with your online marketing. Let’s talk about how we can decrease your stress and free up your time to pursue your vision for your business. Book a call today to see what our team can do for you!